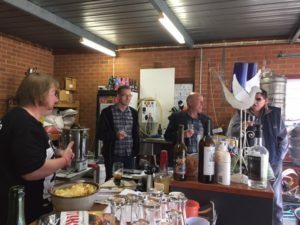 The club are once again participation in the Good Beer Week SMASH Challenge. The malt and hops we got, on the wheel of death, were 25kg of Marris Otter and a kilo of Australian “Summer” Hops. 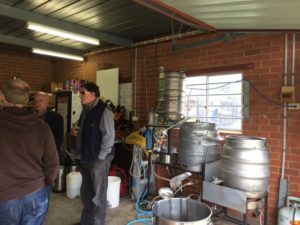 A brew day was organised Strezlecki Manor on Sunday April 2nd. I’m delighted to say that it was very well attended. 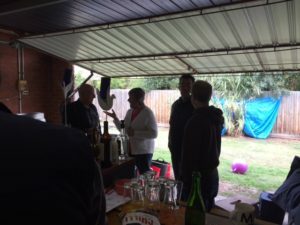 There was a few kids playing on the trampoline, a few snags thrown on the BBQ and those that were not brewing or driving, had an extremely convivial afternoon. 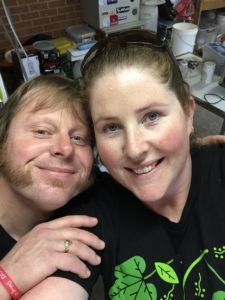 We mashed in around 10am and for the most part were done and dusted by 3pm. 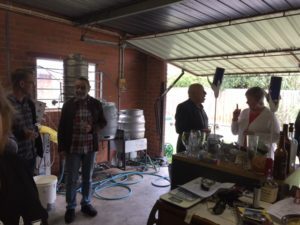 A massive thanks to all who came and supported it but most of all , a thank-you to Courtney for helping brew the beer and allowing us all the congregate , en mass , in the garage. We brewed an American Pale ale with extensive dry hopping. I understand that Grant has also brewed a beer for the SMASH .The recipe is below. 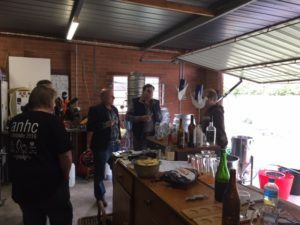 Bred in 1997 , in Tasmania .It features citrus and stone fruit but showcases a distinct apricot and melon characteristics, especially in dry hop.